Happily Ever After Thoughts: STONE HARD SEALS COLLECTION by Sabrina York and a Tiara Giveaway! STONE HARD SEALS COLLECTION by Sabrina York and a Tiara Giveaway! STONE HARD SEALS COLLECTION FROM SABRINA YORK AVAILABE NOW http://sabrinayork.com/stone-hard-seals-complete-collection-is-available-now/ TIARA GIVEAWAY BELOW! 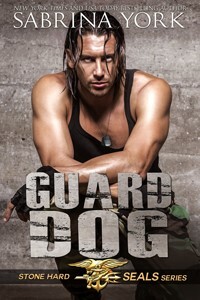 Bonus Book: Whipped Dane Coulter is mourning the loss of his best friend, fellow Special Ops buddy, Cody. Oh, Cody didn’t die. It’s worse. He’s getting married. Cody is, in Dane’s opinion, whipped. Dane swears he will never suffer the same fate. But when he meets a woman who can take all his dominant loving and beg for more, he realizes he may have met his match. It’s a damn shame she’s the one woman in the world his man-code deems untouchable…his best friend’s sister. Always happy to have you, Sabrina!